Partly cloudy. Low 48F. Winds SSW at 10 to 15 mph..
Virginia Coover will open her new business, Aloha Cafe, at 20 W. King St. in downtown Shippensburg Monday. The bright and welcoming atmosphere in Shippensburg’s newest eatery, Aloha Cafe, will be a relaxing oasis for those seeking healthy foods and a short getaway. Say aloha to a healthy meal in downtown Shippensburg. 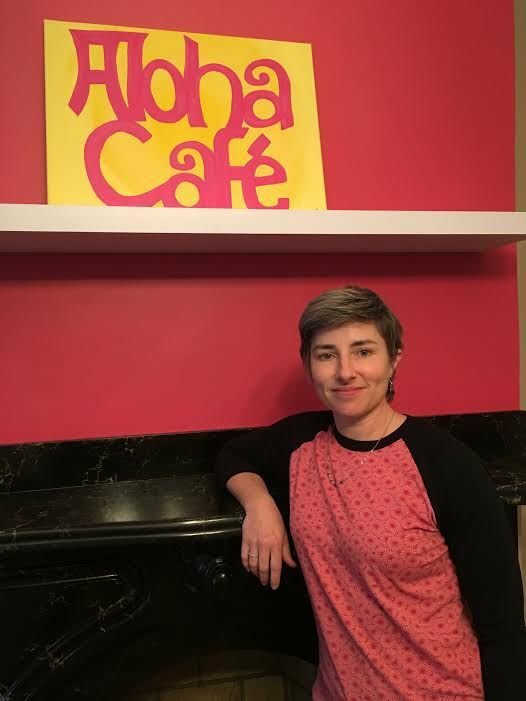 Virginia Coover is opening a Hawaiian-themed, gluten-free eatery, Aloha Cafe, at 20 W. King St. on Monday, April 15. Coover, who owns JA/LEX Real Estate Services with her husband, Steve, said they purchased the historic Sturgis house in March of 2018. The former Shippensburg Arts Programming and Education (SHAPE) gallery space has been completely transformed to bring that island feel to the heart of town. Bright pink and yellow hues are flanked by beige walls. 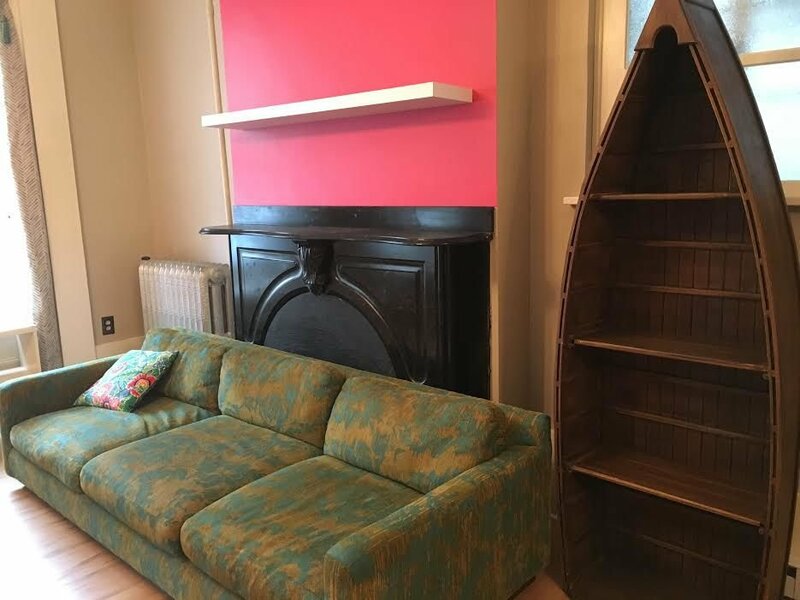 Coover even has a canoe-shaped bookshelf next to a comfortable couch in one room of the cafe. She hopes to put some books on the shelves that she loves and feels everyone should read. She added she fell in love with the building and its architecture, and especially likes that there is a closed-in patio patrons can use when the weather is nice. To bring the building up to code, she had to add a three-bay sink in the kitchen, and build a wall to separate the kitchen and bathroom. The rest of the renovations included painting and new flooring. Top Shelf Construction was her general contractor; Curtis Hippensteel painted and Dustin Danner of Danner Flooring installed the flooring. Aloha Cafe will feature 100 percent gluten-free selections on its menu, including some vegan options like her vegan chili. The menu will feature a number of daily soups, a salad of the week, smoothie bowls, a few sandwiches and muffins. Fresh-brewed coffee, tea and fruit-infused waters will also be available. She will also provide free Wi-Fi to customers. Though she has no previous food experience aside from her first job at McDonald’s, Coover said she is a good cook. She grew up with her mother, who worked in food service and always cooked for a crowd. Some of the tables in the cafe are actually from Edward’s and chairs are from the old American Legion. Aloha Cafe can seat about 20 to 25 customers. Coover plans to have local vendors’ wares on display and for sale in the cafe. She said homemade greeting cards, pottery, gourds and wooden balls will be among the offerings. Aloha Cafe will be open from 11 a.m. to 3 p.m. Monday through Friday, and 8 a.m. to 4 p.m. Saturday. Coover also hopes to hold some special events at the cafe after business hours, like a Mother’s Day Tea, an event for Father’s Day, paint nights or live entertainment. Coover said it’s sad to see businesses come and go in town. The Shippensburg native has owned JA/LEX with her family since 2008. Her friend since 7th grade, Jen Britcher, said Coover already has an established business in town. “Everyone knows Virginia,” she said. “She never forgets a name or a face! That shows how much she cares about people,” Britcher added. An open house will be held from 4 to 5 p.m. Monday, April 15, with samplings from the menu, tours of the cafe and a ribbon-cutting ceremony. For more information, call: (717) 300-3636, or visit: www.alohashippensburg.com.